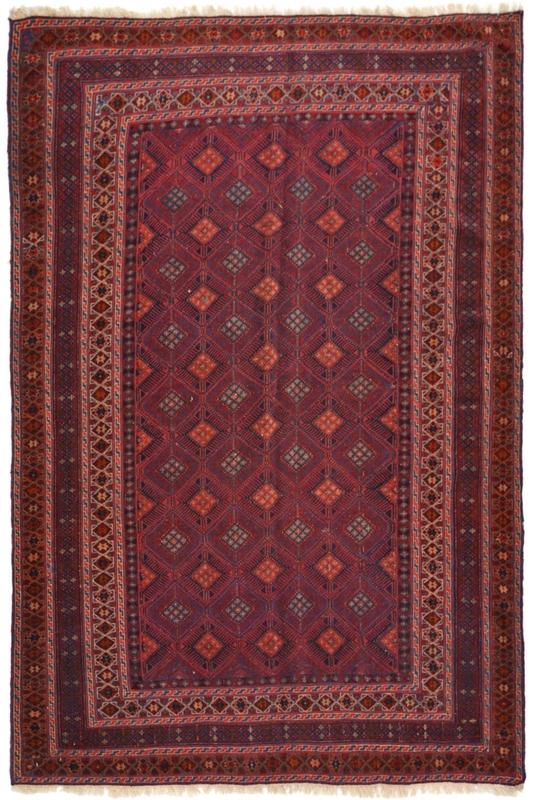 Decorate your home with this beautiful kilim area rug and give a new look to your décor. It is about a square rug which is ideal for a living room and dining room as well. It contains geometrical pattern with diamond motifs. Perfect size kilim carpet for a living room. It is made in wool and cotton material and contains geometrical diamond pattern. The ground is in maroon and contains tiny orange motifs. It has a beautiful border in an intricate design pattern. This is a highly durable and 100% hand washable area rug.